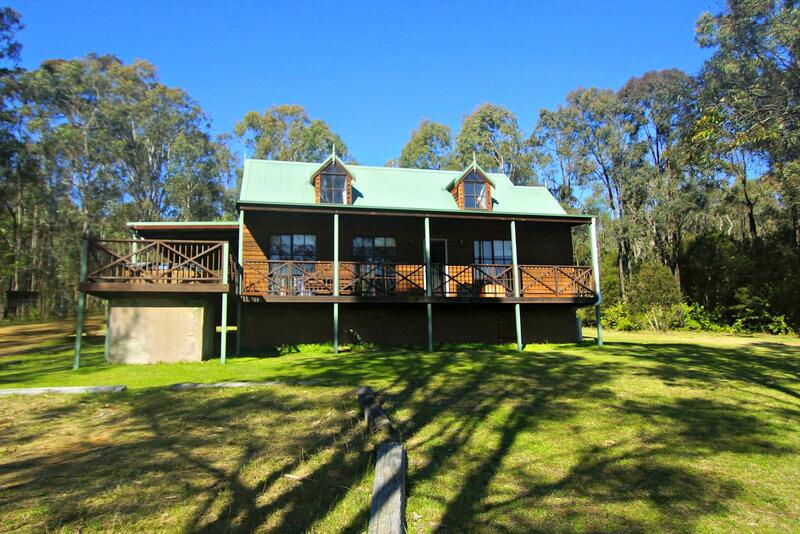 Manzanilla Ridge, set on 52 acres is a rural retreat with 4 Loft style Cottages in a charming bush setting. With a fully equipped kitchen you can wake to the smell of freshly baked bread and delight in a champagne breakfast or relax in your outdoor private spa after a day of wine tasting, whatever your plans the stage is set for a stay full of indulgences. 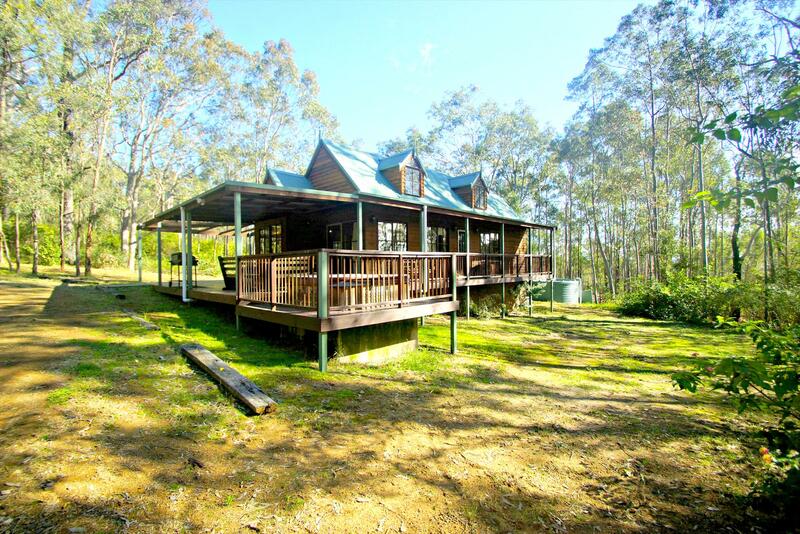 Located in the Hunter Valley Wine area, Manzanilla Ridge offers beautiful self-contained cottages. 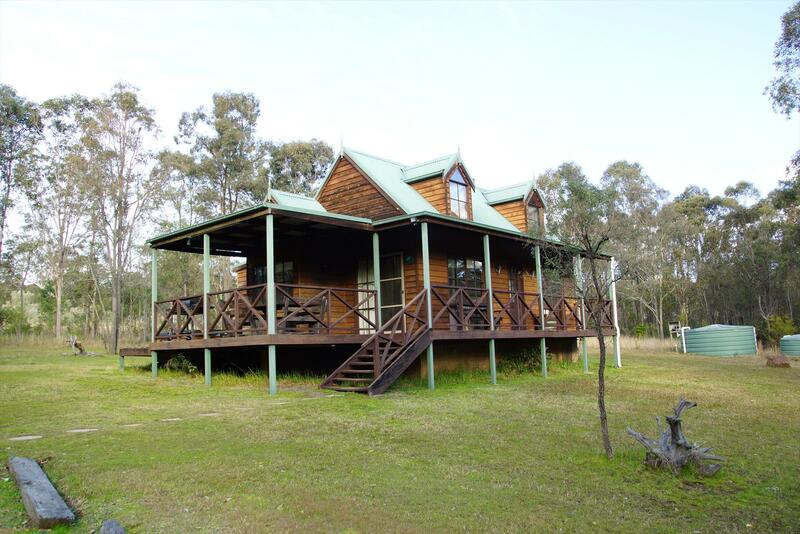 Each cottage offers total seclusion and thoughtful little extras to make your stay a memorable one. Each cottage consists of: Cathedral ceilings with exposed Oregon, heated outdoor spas sunken into your private deck, reverse cycle air-conditioning in each room & wood combustion heaters. Fully equipped kitchens with gas cook top, breadmaker, dishwasher and espresso machine. Gas barbeques & Breakfast hampers provided. Take the National Highway 1 Freeway north towards Newcastle. Exit the Freeway at the Cessnock / Hunter Valley Vineyards sign. (approx 1 hour or 100kms on freeway). Go through Freemans Waterhole & follow signs to Cessnock. Once in Cessnock go to the end of Vincent street, turn left & immediate right into Allandale road. Go through Nulkaba & just before the Information Centre turn right into Lovedale Road. This is on the corner of the golf course. Follow this road approx 10 km's until you are past Wilderness Road. The next turn on the left is Camp Road, and immediately left is Talga Road. Continue down Talga Road for just under 5 km's. Manzanilla Ridge is on the right hand side. 1. If guest cancels outside (& inclusive of) 29 days of the arrival date 100% refund is provided. 2. If guest cancels between (& inclusive of) 28 and 15 days of the arrival date operator to receive 50% of the booking total if total of accommodation is not re-let. 3. If guest cancels within (& inclusive of) 14 days of arrival date no refund applies to guest. PLEASE NOTE: A $25 administration fee applies to any cancellation to the operator.